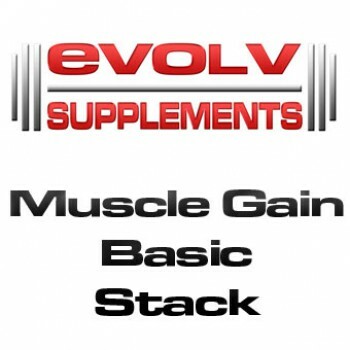 The Basic Muscle Gain Stack is designed to give you the main, most beneficial supplements so you get the best gains from your training. While keeping a restricted budget in mind. Creatine - Increased Muscle Protein Synthesis, Growth and Strength. Protein - After tearing down your muscle during a workout, it refuels your muscles and repairs them. The most important supplement for exercising. Pre-workout - Taken before training for enhanced Strength & Endurance, for better performance and results. Fish Oil: Support & Lubricate your joints. Especially imporant for heavy lifting and repititive movements.